Immerse Yourself In The Music You Love. There's nothing like experiencing music you love in a way that makes you stop and just listen. Capturing the magic in a recording and creating a memorable experience for others is what drives me. There is no greater reward for my work than to watch someone's expression when they hear something new in a familiar recording, or just hearing a great audio system for the first time. I have been on the audiophile journey for over 35 years. While I have learned much from others as well as my own experiences, I am by no means a golden eared audio guru. But I do know how to listen. By that, I mean listen to you, and help you get closer to the music you love through the gear you listen through. You have me, the Head Geek answering the phone and getting things done for you. This is my living, I don't have another job, this is all I do. I am lucky enough to get to do what I love for a living, but that also takes a lot of dedication to my customers and a lot of time looking for tweaks and components that are up to their standards. This will never make me rich, but it does make me happy. I go the extra mile to make sure you are making the right purchase for you, even if it means recommending something I don't sell. It's true. My excitement is derived from helping another person get closer to the experience they wish to create. I will meet you wherever you are at in your journey. 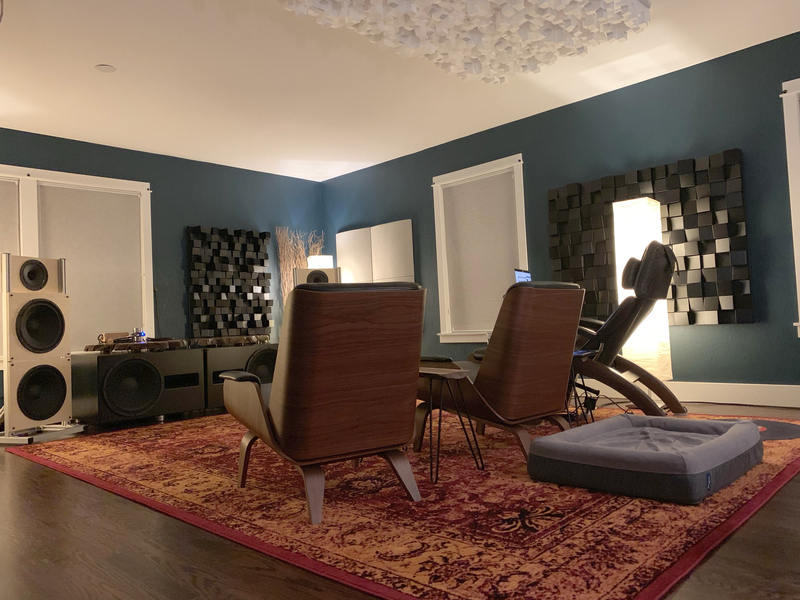 Whether you are just getting started, or are a well seasoned audiophile, I will do my best to help you shorten your journey by using the benefit of my experiences and giving you solid advice. Even if that means telling you not to buy something Tweek Geek Sells that you had your heart set on, or telling you to buy something I don't sell. It happens, and I make friends in the process. That to me is worth more than any sale. Get off the audio merry-go-round, find what works best for you without churning stacks of gear, and reconnect with the very thing that kindled your love for the hobby, the experience of losing yourself in the music you love. Modern day Hi-fi shopping can be a satisfying experience with the right help from the right people. I will go to work for you to make sure I am one of those people. When you contact me, I will make sure you are treated with respect, and are given the absolute best information possible as it relates to your needs. You will speak with me, the Head Geek and no one else (at least for now). I will do my absolute best to help you achieve the best sound possible within your budget and tastes. I take high end audio electronics very seriously. I may not have as many product offerings as some other stores, but you can rest assured that what Tweek Geek does carry has been scrutinized for performance, reliability, and we make sure the people who build it are good folks too. This means you can buy with confidence. Knowing that the dealer as well as the manufacturer stands behind your new audio component. I believe Tweek Geek has some of the finest audio components in their price ranges on the market today. They may not be the most well-known brands, but they do represent some of the best values in audio. We stand behind that claim with our 30-day money back guarantee. We often have demo audio electronics and cables available for in-home trials. With the high end audio industry shrinking, it may be difficult to find a local dealer who carries the hifi product you are interested in. We understand that, and do our best to offer an in-home demo of a stereo component before you make your purchasing decision. If you live in the Colorado area, it may be possible to have a personal consultation with Tweek Geek in your listening environment, or perhaps you could make an appointment for a visit to our Studio. What better way to assess your system and make recommendations than with an on-site visit? Visit the Tweek Geek Studio. Listen to music in an acoustically and electronically optimized environment. If we don't have the product you wish to audition in stock, our 30-day money back guarantee offers up an additional safety net for your auditioning purposes. If you are not satisfied with the performance of any new product you purchase from Tweek Geek, Simply return it in its original condition and packaging, and we will refund your purchase price.